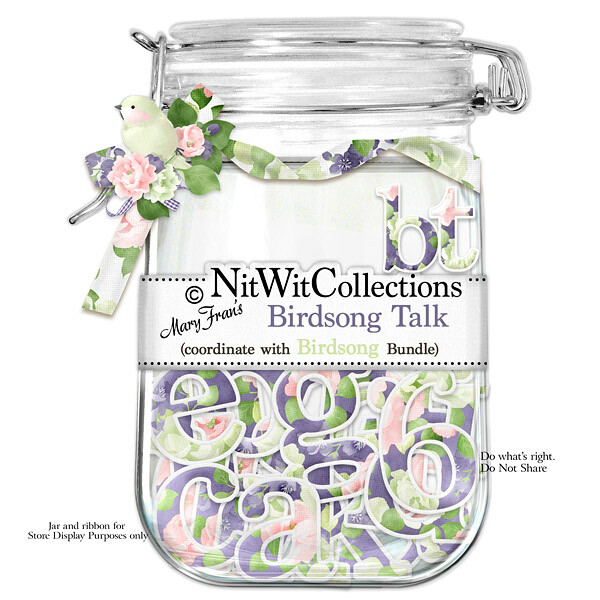 "Birdsong" Talk can be used to "sing" out your perfect phrase, sentiment, name, date, place, etc. Let your words ring out on your cards, scrapbook layouts and mini albums!! 1 AlphaWit set of lowercase letters, &, exclamation mark, period, question mark, quotation mark and set of numbers(0 to 9).